Thanksgiving turkey dinners are now a gobbled up memory, and all sights are set on the next summer season at Camp Wigwam 2014 The C IV ! You will be pleased to know that the 2013 Wigwam Yearbook, Campfire Days is currently at the printer and will be in your hands for the holiday, with the 2013 Wigwam slide show not far behind! The Sarah Riggs / Michael Johnson wedding is a mere three weeks away, and all of us in the Wigwam family express our sincere wishes for happiness and a long life of family and love for that amazing couple. Wigwam parents – the Alumni House actually has some open weekends for ski season 2014, so if any of you might be interested in a quick getaway or a ski vacation week at Wigwam, please feel free to inquire. We received a note just this week from a Wigwam Alumni, Len Schiff, who attended camp in the 1930’s ! We thought it appropriate, at this time, to reprint the highlights of his emotionally charged message. Bob Strauss and I have been e-mailing lately concerning my recollections of summers on Bear Lake. My years at Wigwam were 1937 thru 1948, with time out for World War two. 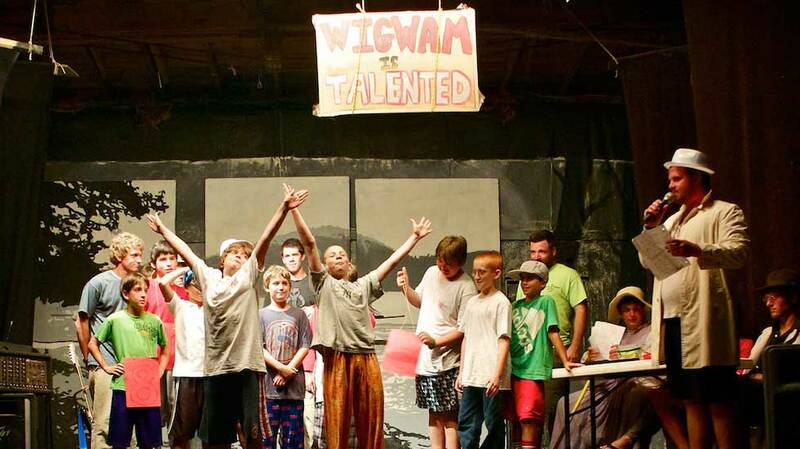 I spent some of the happiest days and years of my life at Camp Wigwam. My memories are great. I started there at age 9 and finished at age 21. I grew up to be a counselor for a couple of years. Obviously in two months time, though you don’t get to know everybody personally, you do get a great sense of the community that is formed. My greatest friendships came from camp. As far as the Camp itself, I have only the fondest memories of it. Congratulations and Mazel Tov to Toby Johnson and his family on his recently becoming a Bar Mitzvah. Trivia Time – What two teams will meet in the World Cup Final this summer? E-mail your guess to wigwam@maine.com by 1/1/14. Winning entrant gets a meal of his choice (breakfast, lunch, or dinner) at the famous Melby’s Store (formerly Tut’s General Store), with a friend! Can’t Wait to See Ya’ There ! Previous PostColor War 2013Next PostNews from the Wam!